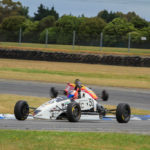 Invercargill driver Jordan Michels has won the 2018/2019 New Zealand Formula 1600 Championship. 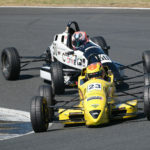 Michels went into the final round at Pukekohe Park Raceway, south of Auckland, on Sunday just three points behind championship leader Josh Bethune of Auckland and in a battle that came down to the last lap of the season ended the day as the new NZ Formula..
A titanic struggle right down to the last race of the season has seen Southland’s Jordan Michels win the 2018/19 New Zealand Formula 1600 Championship title. 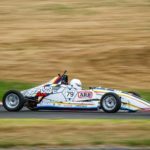 With a ‘never-give-up’ attitude along with some Southland grit, Michels headed into the final race of the five-round series still six-points behind Auckland’s Josh Bethune. 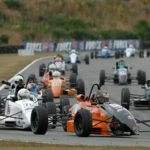 While battling for the lead on the last lap..
Invercargill driver Jordan Michels goes into the final round of the 2018/2019 New Zealand Formula 1600 Championship at Pukekohe Park Raceway, south of Auckland, on Sunday just three points off the championship lead after a sensational performance at the penultimate round of the championship at Manfeild Circuit Chris Amon in Feilding last weekend. 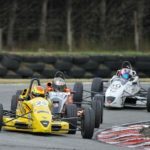 The young Southlander went to Manfeild second..
Two young-guns will go head-to-head this weekend as the New Zealand Formula 1600 Championship title will be decided at Pukekohe Park Raceway in Auckland. 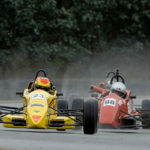 Just three points separate Auckland’s Josh Bethune and Southland’s Jordan Michels after battling over four rounds since early November 2018. 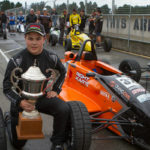 Arguably Bethune has been the dominant driver of the season, leading since the first round where..
18-year-old driver Callum Crawley from Feilding has won the prestigious Morrie Smith Memorial Trophy at Manfeild Circuit Chris Amon over the weekend. 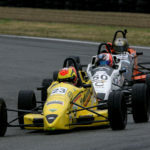 Crawley took his maiden win in the New Zealand Formula 1600 (Ford) Championship in the final race of the weekend, which also awarded him the trophy in memory of motorsport legend Ken Smith’s late father. The weekend marked..